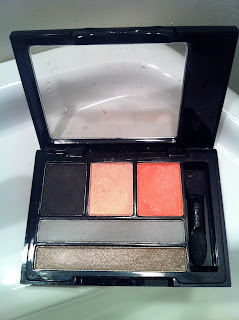 NYX came out with some new eyeshadow palettes for spring, and I picked up one of the Love in Florence palettes in Ciao Bella. I was immediately drawn to the colors and the way they look in the pan. 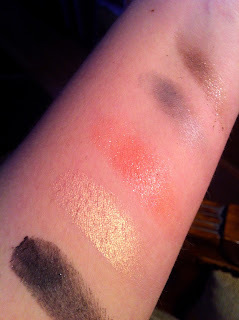 Unfortunately, the shadows are a little on the sheer side, although they perform better over a primer. 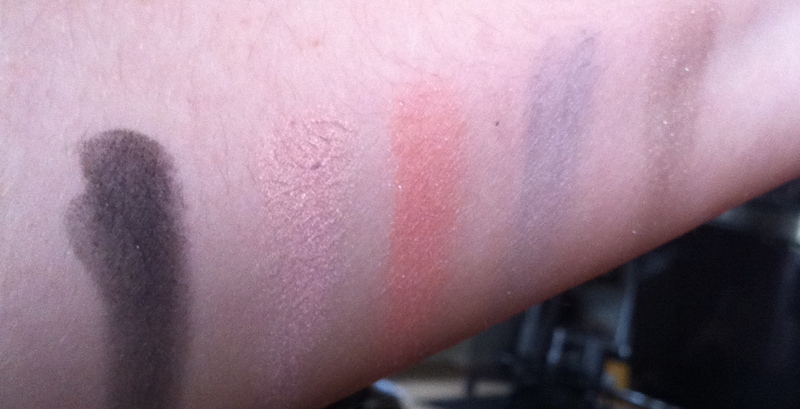 My favorite colors are the peach, which has a little sparkle, and the shimmery taupe. 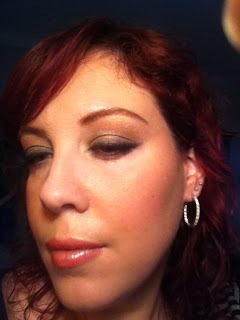 The black works well as a soft liner on the lash line, and the light gold makes a great highlighter. Even Though the shadows are sheer I still like this palette. You can get a really soft, everyday look with the colors, and there are lots of possible combinations. It retails for $8.00.